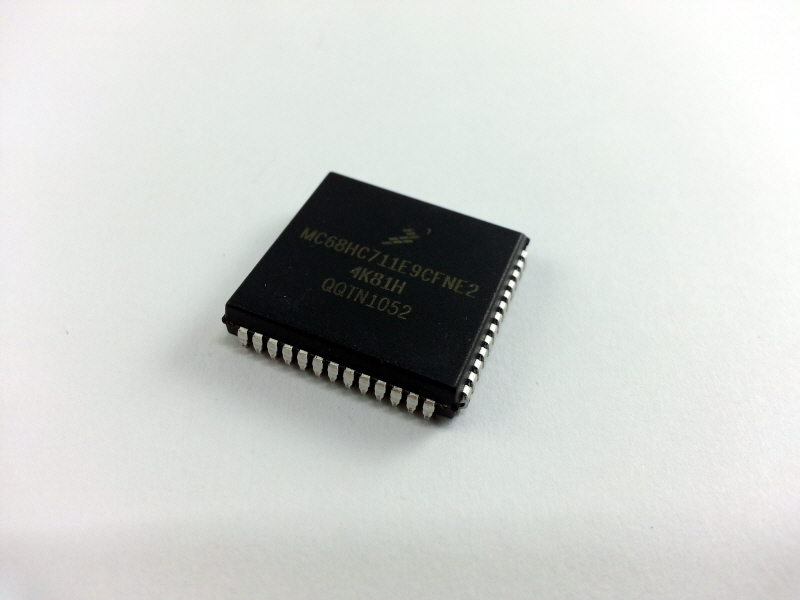 One-time programmable MC68HC711E9BCFNE2 chip (PLCC52); limited quantity available. Need a programmer for these? Check out our Adapt11EVBU module, here.